"But my fans, they understand, as soon as I get up on my feet, I got something to look forward to. I don't want to lay down and just wait for my body to get to the point where I can't do anything. While I got my strength, I want to live my life. I want to sing. I want to do it till I can't do it." According to Jones' online set list, it looks as if her final performance was at the Hollywood Bowl on Sept. 20, where according to another setlist record, she played "Stranger To My Happiness." Sadly, there does not seem to be any videos from this event, so please enjoy a video of Jones performing at the Montreal Jazz Festival this summer instead. It's easy to see how influential she was: just take to Twitter to see the outpouring of emotion from Jones' many famous fans. But she's not just inspirational to musicians, but to anyone who dreams of making it in a competitive, creative industry without having the financial means to support themselves — or without fitting into a cookie-cutter idea of how someone in that industry should appear. 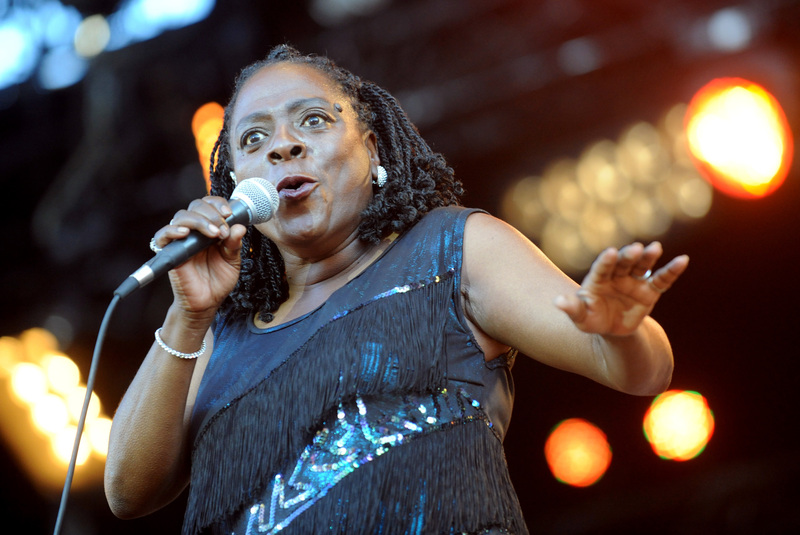 According to the documentary made about her life, Miss Sharon Jones! , a record producer told the singer in the '90s that she was "too fat, too black, too short and too old." "I looked at myself and saw ugliness," she stated in the film. She took a few years off music and worked as an armored car guard for Wells Fargo and then a correctional officer at Riker's Island for two years, before finding fame in her forties when she was discovered singing gospel in 1996. It's incomparably tragic news that yet another talented musician has passed away this year — if you've been touched by Jones' music, please consider a donation to her favored charities: The Lustgarten Foundation, James Brown Family Foundation and Little Kids Rock.